Albums » Ihnenfeld Photography BLOG! 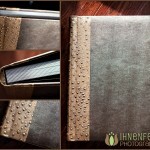 Oh, How I L-O-V-E Wedding Albums & FINAO! © 2019 Ihnenfeld Photography BLOG!|ProPhoto Photo Website by NetRivet, Inc.